The term "pond hockey" is often used, especially in Canada, as a synonym to Shinny. It is meant to describe any form of disorganized ice hockey that is played outdoors, typically on a naturally frozen body of water. 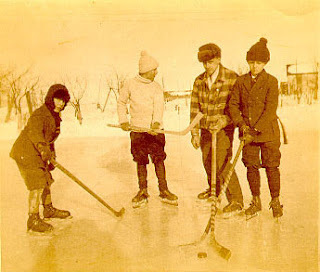 In fact, before hockey, there was shinny. 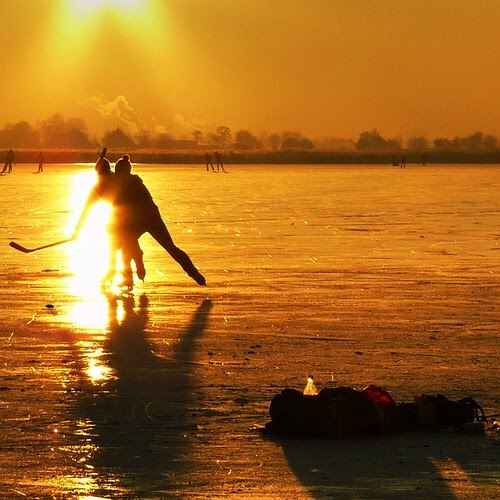 Frozen lakes, frozen rivers, frozen ponds, frozen backyard rinks - all conducive to the game of hockey. The documentary film Pound Hockey is a must see for any enthusiast of Canada's game, and you can see it here free of charge: http://www.snagfilms.com/films/title/pond_hockey. game past the moment's break. a delicious arc of ephemera. nights that seemed to last forever. breath suspended for just a moment.